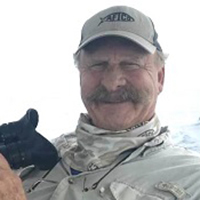 The International Game Fish Association (IGFA) today announced its 2018 Tommy Gifford Award winners in recognition of their significant contributions to recreational angling as captains, guides or crew. This year’s recipients include tuna-fishing legend Captain Walter Voss; acclaimed Pacific coast tournament Captain Steve Lassley; Cape Hatteras charter fishing pioneers, the Foster family; Southern California billfish guru, Captain Mike “The Beak” Hurt; and early offshore adventurer and mothership operator, Captain Jim Donovan. These recreational angling greats will be honored at the IGFA Legendary Captains & Crew Awards Ceremony during the 59th annual Fort Lauderdale International Boat Show on November 1, 2018, at the iconic Pier 66 Hotel & Marina in Fort Lauderdale, Florida. The 2018 recipients were selected by a committee of internationally-renowned captains and mates chaired by Captain Skip Smith. Previous winners include Jose Wejebe, Allen and Buddy Merritt, Ron Hamlin, Charles Perry, Ralph Delph, Laurie Wright, Jimmie Albright, Bouncer Smith and more. 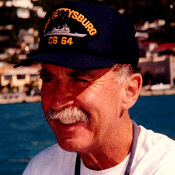 Captain Walter Voss was a well-known and respected captain in South Florida from the 1940s to the 1970s and is credited with being one of the first captains to take a sport fishing boat from the U.S. to Bermuda. An innovator, Voss designed the Dream Girl, one of sport fishing’s most emulated fishing boat designs and one of the most dominant boats in the very competitive world of tuna fishing in the 1950s and 1960s. It was aboard her that most of past IGFA president E.K. Harry’s legendary tuna fishing exploits took place, with Voss at the helm. Over the past three decades, Captain Steve Lassley has built one of the most impressive resumes in the history of sport fishing. Not only has Lassley accrued the most tournament winnings in the history of the sport at the helm of team Bad Company, the experience he has gained from spending more than 7,000 documented days at sea have allowed him to become a leading innovator and educator in the industry. 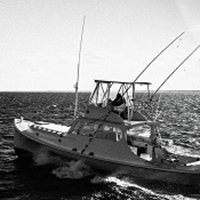 The Foster Family put Hatteras on the world’s sport fishing map. In the then-isolated commercial fishing village of Hatteras, North Carolina, Ernal Foster had the foresight to see the potential in taking people fishing for pleasure in the mid-1930s and had his first boat, the Albatross, built for charter in 1937. At that time, the Fosters were the first full-time charter operation on the East Coast. The Foster family (Ernal and Bill, brothers, both deceased) and Ernal’s son Ernie have been fishing the waters off Hatteras continually since 1937, and the Albatross fleet of charter boats is still operational today. Captain Mike “The Beak” Hurt has dedicated his life to the promotion of sport fishing. 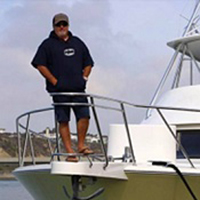 Often considered as one of the pioneers of modern sport fishing in Southern California, Hurt was one of the first captains to consistently catch billfish before the days of sounders and GPS in his native waters off San Diego. Today, Captain Mike continues to shape the industry by sharing the knowledge and experience he has gained on the water over the past 50 years. Captain Jim Donovan’s illustrious career as a world-class sport fishing captain began in 1950 when he moved to South Florida and began mating for a charter based out of the historic Bahia Mar Marina. 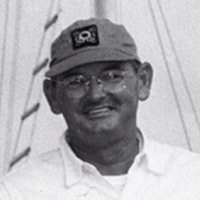 Over the next 50 years, Donovan captained boats around the world including top angling destinations such as Cabo Blanco, Montauk, Bimini, Nova Scotia and more. Donovan is best known for being a pioneer of mothership operations which he began doing in 1978, towing a 43’ Merritt behind a 106’ yacht from the Atlantic coast of Canada to Vancouver, British Columbia on the Pacific coast.